This Ford Focus ST TDCi performance exhausts is made in 3"/76.19mm pipework and fits from the centre section backwards replacing the rear section. The 2015 Ford Focus ST TDCI was always on the agenda to lend itself to another of Cobra Sports exhaust upgrades, due to the massive success of the ST250 marques. 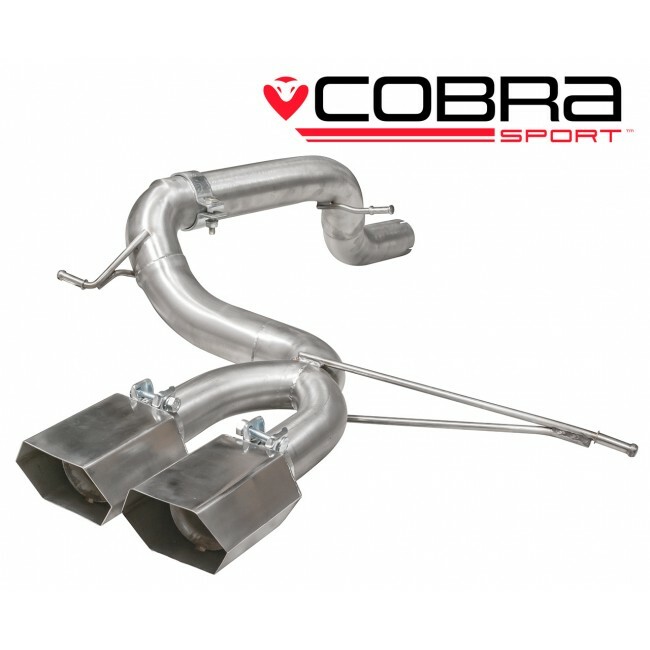 The Cobra Sport development team recommended 3” bore pipework in order to gain the best results with regards to both power and sound. The final development is available as a rear box replacement which enhanced the TDCI engine sound by only 2 dB at three quarter revs, but allowed a much deeper overall tone. As expected there was an exceptional weight advantage, with the Cobra Sport exhaust being a massive 54% lighter than the original equipment exhaust. The Pumaspeed Workshop team are ready to fit the Cobra Focus ST Diesel Rear Exhaust in our Head Office located here. Therefore making parts and labour a total cost £437.99 (inc. VAT). Pumaspeed have a specialist distribution team that can dispatch the Cobra Focus ST Diesel Rear Exhaust to any destination worldwide.